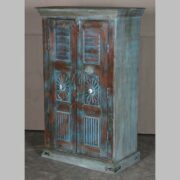 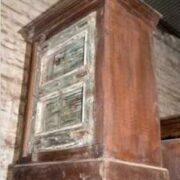 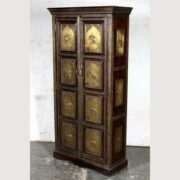 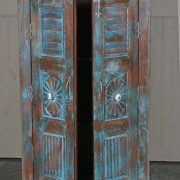 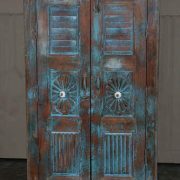 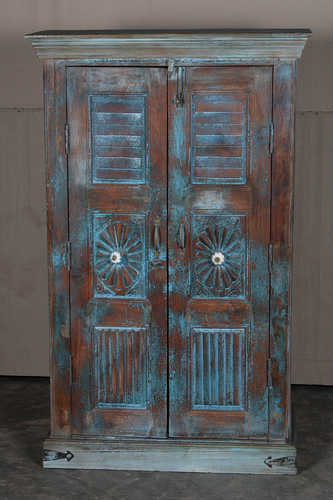 An old door unusual tall cabinet with hand carved panels. 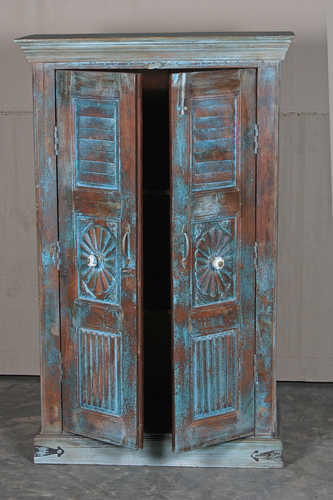 Found in the north east of Jodhpur just off the Nagaur Road, this individual cabinet with it’s old doors adorned with hand carved motifs and patterns is certainly eye catching. 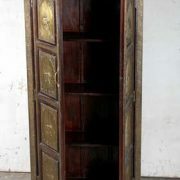 Inside can be found two-shelves adding to it’s storage options.